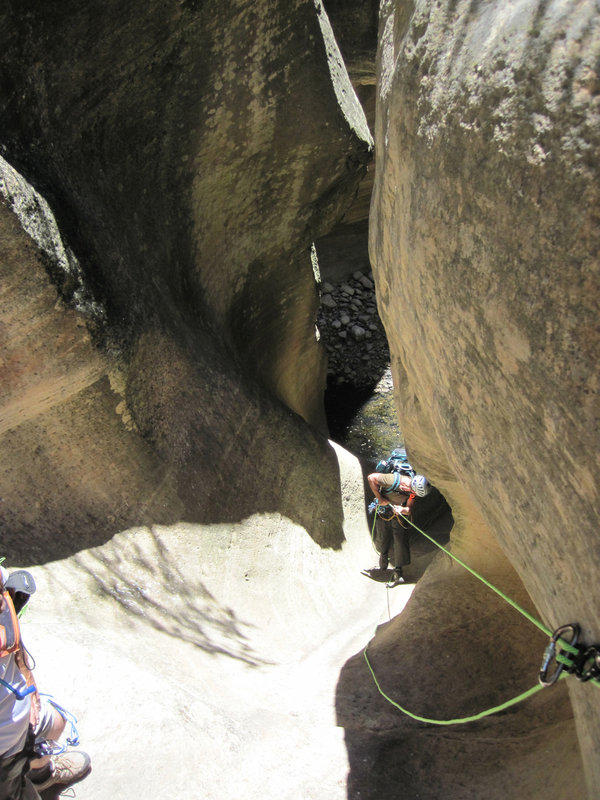 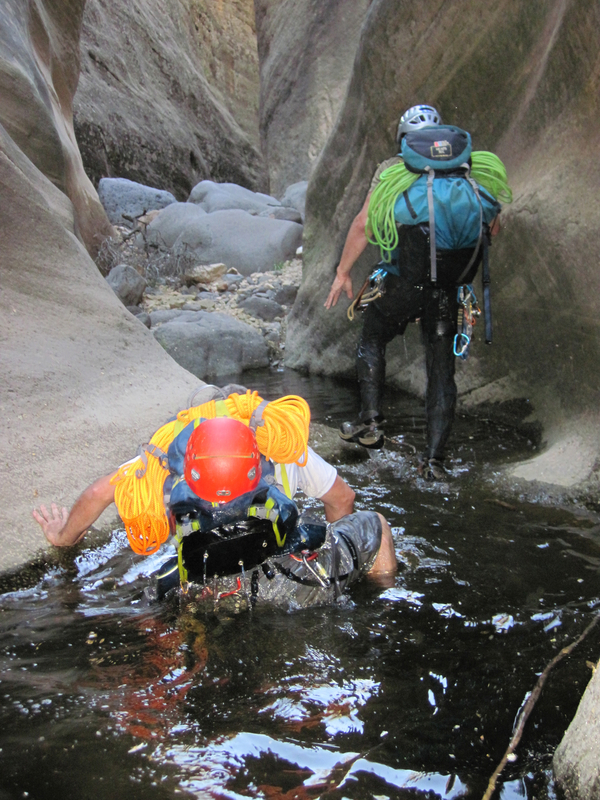 Canyoneering Little LO Canyon near Flagstaff, Arizona is a great area to explore and will allow groups to get experience encountering Keeper Potholes. 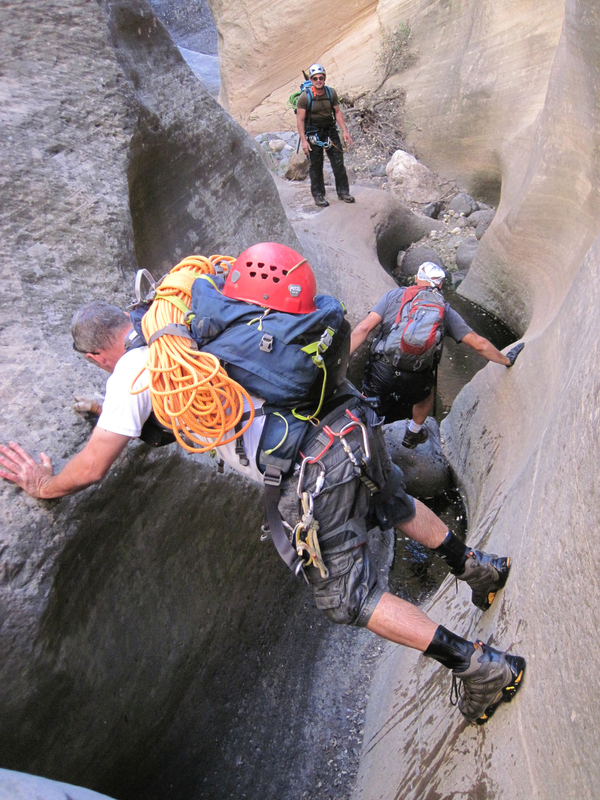 We went through with 100' of rope, and as a team, we did not have any issues getting past any problem the canyon threw at us. 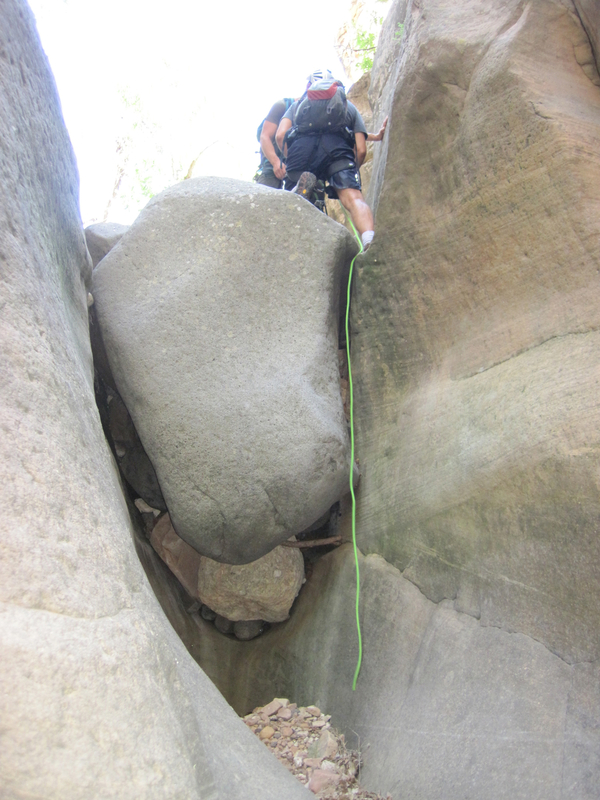 The first keeper Pothole was bypassed with a buddy boost, in turn, allowing the man on top to assist the others below. 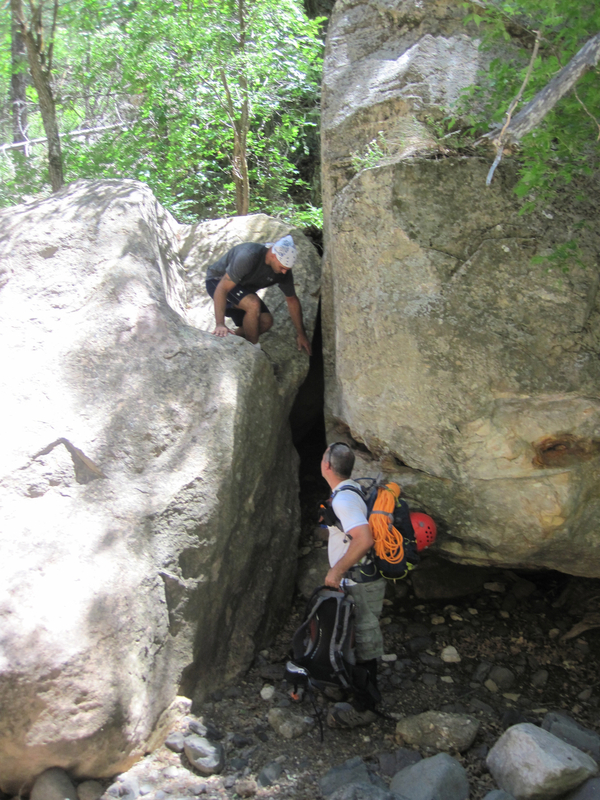 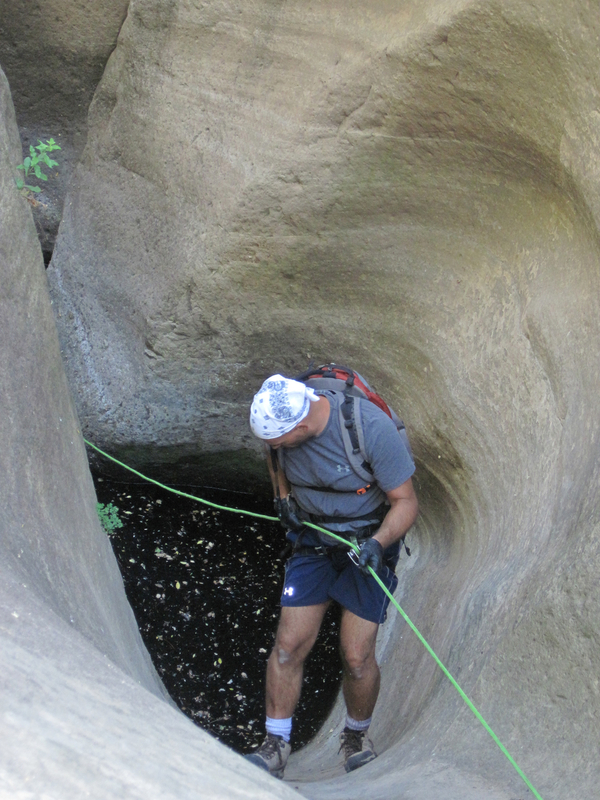 The second potential keeper was attacked in the same manner for most of the group, but I discovered that it is easy to exploit the crack on canyon left and climb up and around to the top of the chute. 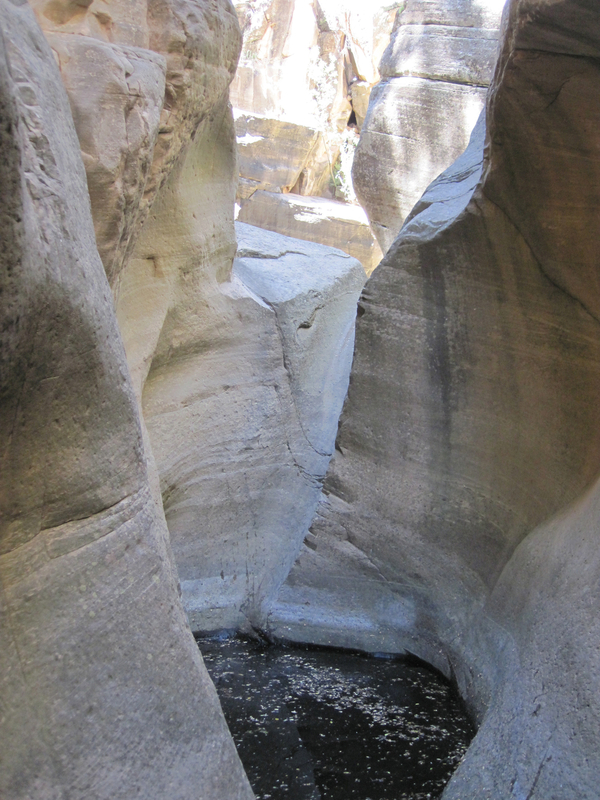 All together the day made for a nice, scenic trip through the area with a great exit hike that passes several springs and has a great view of Sycamore Creek.